We hope you found what you are searching for. If not, contact us and let us know what your want. We will do the work for you and get back to you when we're done. 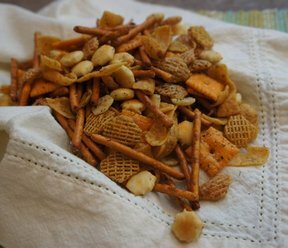 A tasty snack mix that is loaded with flavor. Perfect to bring on the boat or to a picnic. 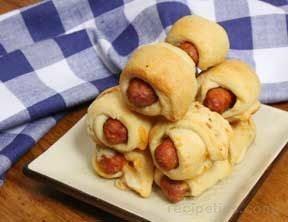 Try these little Cocktail Pigs in a Blanket the next time you need a quick and easy snack. 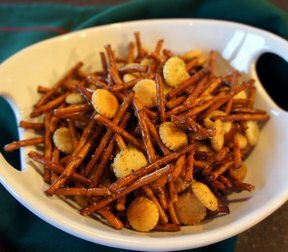 When looking for new party recipes, try our snack recipe, appetizer recipe, and popcorn recipe collections. 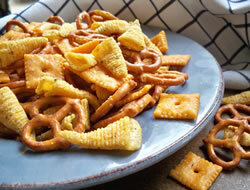 Try our Ranch Pretzels Recipe for pretzels so full of flavor that they are hard to resist. 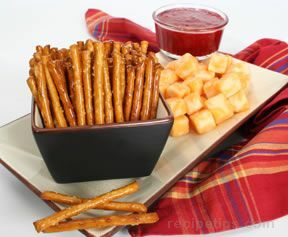 Ranch Pretzels are just one of many snack recipes on RecipeTips.com. 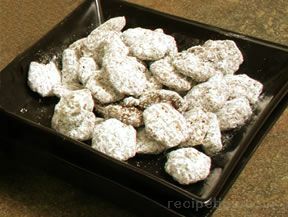 Also, try our other pretzel recipes. This easy appetizer can be whipped up without having to get a whole bunch of groceries. Kids and adults both will enjoy the savory snack. 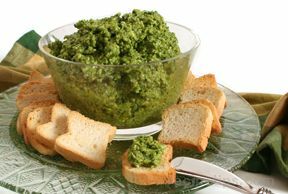 A tasty topping for crackers, small toasts and cracker breads that can be served as an appetizer or snack. 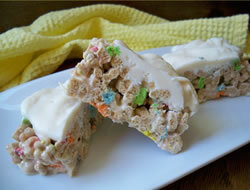 A homemade snack bar made from your kids' favorite cereal . . . Lucky Charms. Topped with a layer of almond bark, these yummy bars make a great after school treat. Sweet snack with chocolate and peanut butter. Who's NOT going to love it! 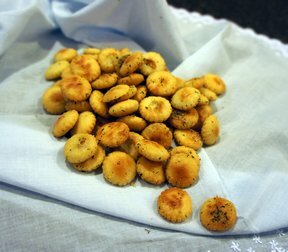 Oyster crackers and pretzels are covered in a dill and garliic seasoning for a salty snack. 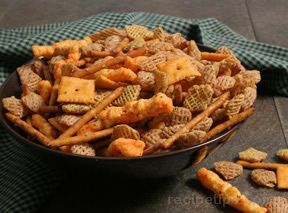 Ingredients included in this recipe are Kelloggs Crispix cereal, small pretzels, bite size cheddar cheese crackers, Vegetable Oil. 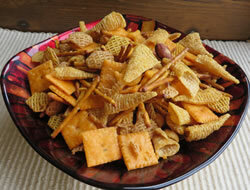 A great snack mix for a party or just for munching anytime. 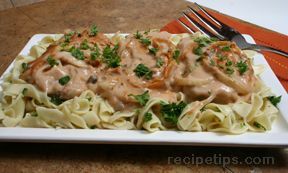 This recipe makes a huge batch so it is perfect for a large gathering of family and friends. 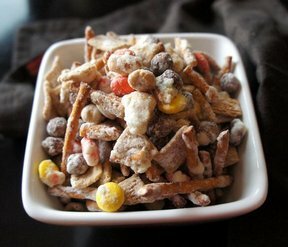 Tasty snack mix that is great to have on hand. Full of flavor and easy to make. Serve it up at your next football party in small bowls placed around the entertaining area. 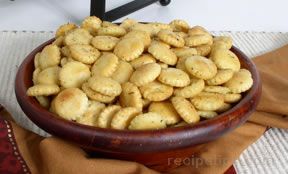 Ingredients included in this recipe are saltines, wheat or other, canola oil, dry ranch dip mix. 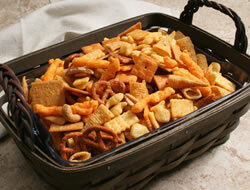 This snack mix is the perfect munchy to make ahead and take along for tailgating before the big game. Sweet and salty are the perfect combination. 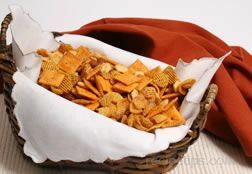 Put this snack mix in pretty bags to give out as party favors at your holiday gathering. Don't be afraid to switch up the combination of cereals and nuts. Kids will love this snack. It's perfect to have on hand for after school or to bring to a friend's house. Enjoy this tasty snack in place of the traditional mix. 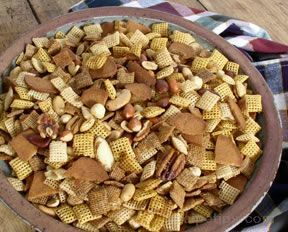 Combinations of delicious nuts and cereals make this tasty mix a pleasing addition for snack time or party tables.